Estate Planning Combo Packages. Ready for use. Drafted by Lawyers. Popular These Estate Planning Combo Packages are specifically designed to provide you with an array of estate planning documents. Estate planning forms contained within the packages are Wills, Powers of Attorney, Advance Health Care Directives and Organ Donation forms for use in variety of situations and for individuals with or without children. Estate Planning for Married Persons With Minor Children Get 7 forms for just $39.95. Save 63%! Collection of forms necessary for married persons with minor children to plan their estate and to protect their rights and those of their family. Estate Planning for Married Persons With Adult Children Get 5 forms for just $39.95. Save 49%! This combo contains easy to understand instructions and model forms specifically designed for use by married persons with adult children when planning their estates. Estate Planning for Married Persons With No Children Get 5 forms for just $39.95. Save 49%! This combo includes an advance health care directive, power of attorney, will, organ donation and more and is designed for use by married persons without children. It provides the instructions and estate... Estate Planning for Single Persons With Adult Children Get 5 forms for just $39.95. Save 49%! This Estate Planning Combo Package is designed for a single person with adult children and contains the forms necessary to plan your estate. Estate Planning for Single Persons With Minor Children Get 5 forms for just $39.95. Save 49%! Designed to create an estate plan for use by a single person with minor children . 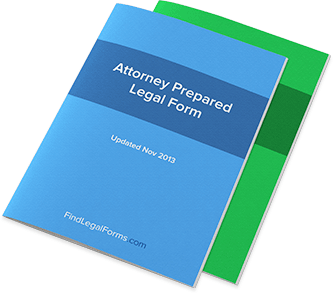 Includes the instructions and forms to tailor to your unique situation and includes a will, durable power of attorney,... Estate Planning for Single Persons With No Children Get 5 forms for just $39.95. Save 49%! Collection of forms necessary for a single person with no children to plan their estate. Estate Planning for Divorced Persons With Adult Children Get 7 forms for just $39.95. Save 63%! This Estate Planning Combo Package for a Divorced Person with Adult Children contains the necessary forms to plan your estate. Estate Planning for Divorced Persons with Minor Children Get 7 forms for just $39.95. Save 63%! This Estate Planning Combo Package for Divorced Persons with Minor Children contains the necessary forms to efficiently plan your estate. Estate Planning for Divorced Persons With No Children Get 7 forms for just $39.95. Save 63%! This Estate Planning Combo Package for a Divorced Person with No Children will assist in planning your estate and ensuring that your wishes regarding disposition of your assets are carried out. Estate Planning for Couples With Adult Children Get 7 forms for just $39.95. Save 63%! This Estate Planning Combo Package is for Couples with Adult Children and will ensure that your wishes regarding disposition of your property are carried out according to your wishes. Estate Planning for Couples With Minor Children Get 7 forms for just $39.95. Save 63%! This Estate Planning Combo contains a variety of estate planning forms including a Mutual Will for a Couple with Minor Children. Estate Planning for Couples With No Children Get 7 forms for just $39.95. Save 63%! This estate planning package has the documents you need to protect yourself and your loved ones if you are you a couple with no children. Estate Planning for Married Couples With Adult Children Get 7 forms for just $39.95. Save 63%! For use by married couples with adult children when planning their estates. It contains easy to understand instructions and model forms you can tailor to your unique needs, while ensuring compliance with... Estate Planning for Married Couples With Minor Children Get 7 forms for just $39.95. Save 63%! Specifically designed to create an estate plan for use by married couples with minor children. This combo includes the instructions and forms to tailor to your unique situation and includes a will, durable... Estate Planning for Married Couples With No Children Get 5 forms for just $39.95. Save 49%! This Estate Planning Combo Package for a Married Couple with No Children contains the necessary forms to assist in planning your estate. Estate Planning for Widows and Widowers With Adult Children Get 5 forms for just $39.95. Save 49%! This Estate Planning Combo Package is designed for use by a widow or widower with adult children. Estate Planning for Widows and Widowers With Minor Children Get 5 forms for just $39.95. Save 49%! This Estate Planning Combo Package is designed for use by a widow or widower with minor children. Estate Planning for Widows and Widowers With No Children Get 5 forms for just $39.95. Save 49%! This Estate Planning Combo Package is for use by a widow or widower who has no children. What are Estate Planning Packages? Because there are so many factors that go into estate planning, it’s often necessary for people to employ entire estate planning packages – a series of documents rather than a singular one – in order to make sense of all of their plans and assets. That is what an Estate Planning Package accomplishes. Estate Planning Packages will often consist of different forms in addressing the needs of people with different circumstances. For example, one Estate Planning Package might be optimized to help prepare married couples for estate planning, while another package might be optimized for divorced persons. The additional complication of having adult/minor children, or no children at all, can require the use of a different Estate Planning Package. What kind of documents do Estate Planning Packages usually consist of? General or Durable Powers of Attorney: Granting someone Power of Attorney in certain cases will be crucial to ensure that your estate planning strategy is employed even in your incapacitation. Durable Power of Attorney documents (often effective in different scenarios such as Effective Immediately and Effective upon Disability) can help at this point. Will: Utilizing a Will is one of the central strategies in estate planning, which is why most Estate Planning Packages will include some form of Will. Married couples and other couples can use Mutual Wills to ensure that both of their wishes are carried out. Advance Health Care Directive: Outlining exactly what you want to have happen to you when you’re medically incapacitated or incapable of speaking for yourself is important, which is what the Advance Health Care Directive accomplishes. Quitclaim Deeds: These documents are used in transferring real property from the grantor to the grantee, which is often an essential process in estate planning. Other forms, such as Anatomical Gift (Organ Donation) Agreements, will also make frequent appearances in Estate Planning Packages. Why do I need a specific Estate Planning Package? For a number of reasons. First, you need to know that the documents you’re using for your estate planning strategies are in line with your local state’s laws. Second, you need to use the proper documents according to your situation in life. A divorced man with adult children will likely need to use different documentation than a married couple with minor children, and so on. Which document in an Estate Planning Package is the most important? They’re all important, and their importance will vary based on your own situation. For example, it’s often more important for couples with children to have wills than couples without them. Or you may get in an accident and your family finds that your Advance Health Care Directive is crucially important. There’s really no way of saying which document is most important – that’s life, and it’s why you require an Estate Planning Package rather than one single document. I’m single and I have no children. Do I need an Estate Planning Package? Yes. There will still be crucial forms for you to fill out and strategies for you to outline. For example, an Advance Health Care Directive will be crucial no matter whether you’re married with children or not. You should always do your best to leave a solid legal foundation behind your legacy no matter what your individual family situation is like. What kind of Will do I need to fill out? As you’ll find in different Estate Planning Packages, there are often different types of Wills for you to fill out. These documents are created around specific family situations, which will make it easier to fill out one that is tailored to your circumstances. A widow/widower with no children is different than a widow/widower with children, and so on. If you can find an Estate Planning Package tailored to your situation, you’ll likely find the right Will as well. What about Trusts and Living Trusts? Trusts and Living Trusts do not always make appearances in standard Estate Planning Packages because they require unique circumstances. If you don’t want to create a trust, for example, then you simply don’t have to fill one out; Wills, however, should always be filled out. You can always supplement an Estate Planning Package with the trusts you create on you and your lawyers’ own initiative. Do I need to use all of the forms in an Estate Planning Package? How you use your Estate Planning Package is up to you. But it’s important to fill out documents like Advance Health Care Directives and Wills no matter how you feel about them because of the impact they can have on your life and the lives of those around you. Don’t make the mistake of taking any one document less than seriously. I’m in my 20’s or 30’s. Do I need an Estate Planning Package? As the old adage goes, “better safe than sorry.” But that adage isn’t sufficient if you have children at this young age – you will have to make sure that they’re cared for in the unlikely event of your passing. Your age should not be an excuse to avoid using Estate Planning Packages to their fullest and taking advantage of the legal opportunities they provide. When are the documents in Estate Planning Packages valid? Because an Estate Planning Package generally contains a number of documents – each with their own requirements for validity and enforceability, there are too many variables in this question to provide one single answer. However, you should strive to make sure that you meet the requirements of validity and enforceability – for example, when signing a Will, you will likely require a witness, oftentimes a lawyer. This is also the case in granting Powers of Attorney. So review each form carefully in order to make sure that you meet all of its requirements. Estate planning can be difficult – it often requires the shifting of assets to a high degree – and that’s why it’s important that estate planners have the right paperwork to make their strategies ironclad. Key strategies like avoiding taxes legally and making sure that family members and loved ones have as much left behind as possible cannot happen without the right legal forms. That’s why it’s so important that we take a look at three key legal forms that estate planning lawyers need to use on a regular basis. And if you’re someone who’s handling your own estate planning, it’s especially important that you have the right paperwork to ensure that everything you do is on the up-and-up. Here are three key forms to concentrate on. For estate planners, it all starts with the last will and testament, the document that provides the main strategies for the doling out of one’s assets and provides the context through which all the other decisions about the estate are made. Without a last will and testament properly signed (and witnessed), the assets of an estate will go according to a probate process that the deceased has nothing to do with – in other words, that’s not what you want. Instead, a will should be crafted with specificity, authority, and legality. It needs to set the stage. Trust and living trust forms are essential in the doling out of assets after someone dies because these funds can be highly protected from the government. This amount of control over one’s own property needs to be executed properly if it’s going to have any impact close to the impact that was intended. That’s why the trust and living trust filings need to be spot-on and accomplish exactly what they’re intended to accomplish, and it’s why these forms need to be on the up-and-up, as well. A living will might not have a whole lot to say about estate planning, but it does have a lot to say about what should happen to you in certain circumstances in which you’re not able to make decisions yourself. In essence, a living will is separate from a will in that it directs a variety of proceedings while you’re still alive – albeit unable to make your own decisions. Medical decisions are some of the most important decisions present in these living wills. It’s important that these wills deal with your preferred responses for a number of different scenarios and that they leave behind a legacy that you can be proud of, should worse come to worse. Of course, these three types of forms are not the entire story on estate planning, and they certainly don’t represent the sum total of all the expertise that exists out there. But these core estate planning documents should give you an understanding of the various things you’ll need to concentrate on as you plan for your own estate. Get planning – you won’t regret it. When many people hear the phrase “estate planning,” they probably think it’s just another run-of-the-mill, talk-to-your-advisor process that isn’t fun, isn’t exciting, and certainly would be more fun if it was replaced with a couple of rounds of golf. But estate planning can be an interesting and engaging process that isn’t only important for you, but is vitally important for the people you leave behind once you leave this world. In other words, estate planning can be a serious business, and if you take any pride in making sure that your loved ones are cared for, then it’s something you’ll want to get on top of right away. But what’s included in the estate planning process? In this article, we’ll take a look at a few of the big questions that will need to be addressed as you plan and build your estate for minimal tax invasion and maximum property left to your loved ones. So let’s get started! ? Handling the division of property and assets. Perhaps the most crucial thing you do in your estate planning is decide on how your estate will be doled out after you pass on. In many cases, most people simply leave their estates to their spouses, but not everyone has a spouse to leave an estate to. Handling the division of property and assets, therefore, will be one of the most crucial decisions that you make when you’re estate planning, even if you opt for a simple solution like leaving all of your possessions to everyone. This is one of the first questions people ask themselves, and it will require a definite answer. ? Establishing trusts and avoided taxes. One of the crucial things about estate planning is realizing just how much of your estate can go to the government if you haven’t planned things out right. Since most people want to leave behind as much money and property as possible, establishing trusts can be one of the most powerful tools in your arsenal. When you create a trust and move assets to it, you technically reduce the size of your estate, leaving the property in the trust’s name, which is then transferred to someone after your passing. This is what’s known as a “living trust” and can be a great way for you to leave property to someone you love without the government taking a big bite out of it. ? Avoiding legal entanglements. If you have a number of children to leave property to, you’ll want to make sure that your estate is settled in a way so as not to encourage these children to bicker over who gets what. When someone fails to leave behind a proper estate plan, it opens the floodgates and allows legal squabbles, contests, and other difficult issues that can tear families apart. That’s not what you want, so make sure that your estate planning is targeted, specific, and legally-binding. This will help to avoid legal entanglements after you pass on to leave behind not only a healthy estate, but a healthy family.